Thank you so much for trusting and using our services so far. Please kindly note that the Immigration Department Office will be closed on Tet holiday. The Vietnamese biggest festival will last from 02 February to 10 February, 2019. On these days, most offices are off, included Immigration office. 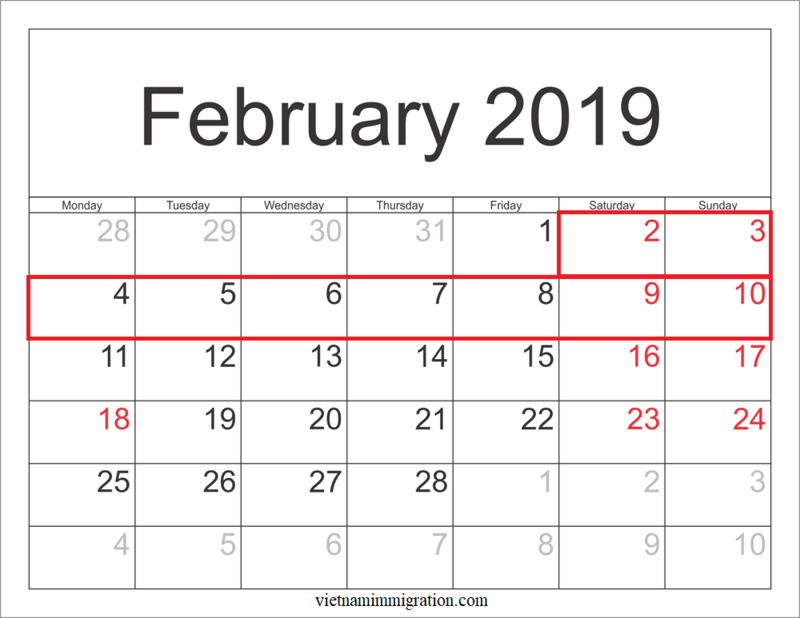 For those having plan to come to Vietnam in this period of time, you should apply for a visa at least 2 days before 02 February. Although the Immigration Department is closed, we (the Immigration Services Agency) still works. We still receive the visa order during this time and will send the result to you after Tet holiday. For those who need visa urgently during this time, you also can get the visa by using our rush service.